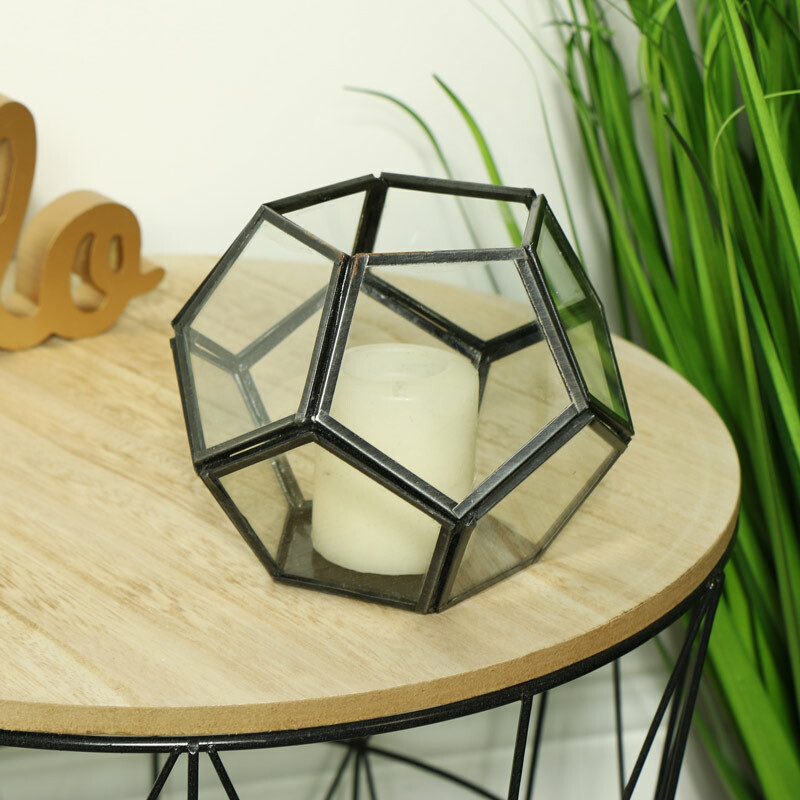 Geometric, terrarium style, tealight candle holder with brushed black metal frame. Hints of retro, industrial style for the modern, contemporary home decor. Versatile home decor accessry that can also be used for small plants & flowers or as a pot for makeup accessories & other little bits & bobs. Add a tealight candle to light up your home in style. Geometric design with glass pentagon shaped panels and open top for placing the tealight. 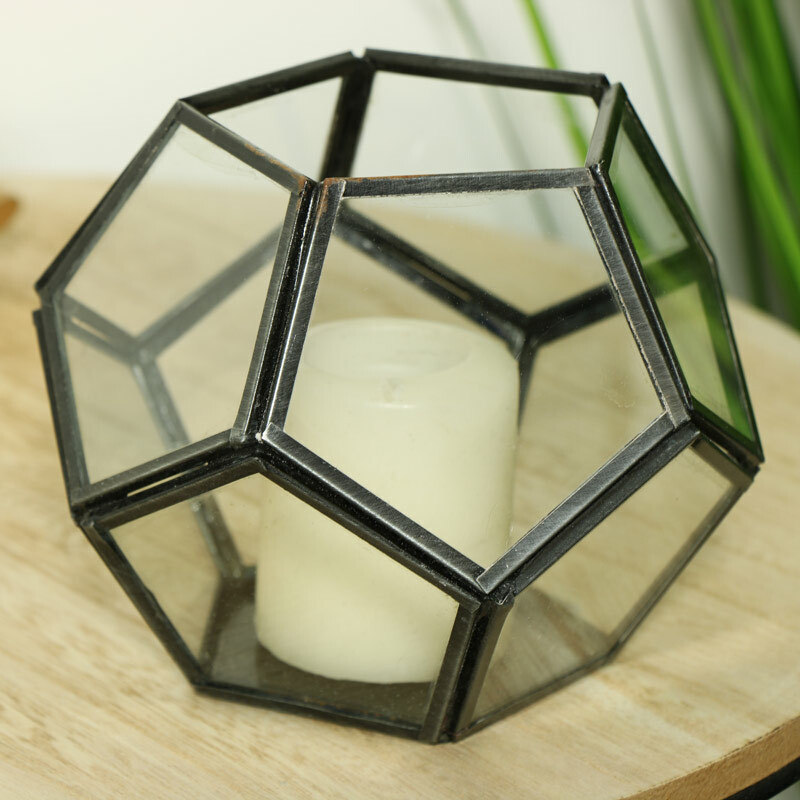 Geometric, terrarium style, tealight candle holder with brushed black metal frame. Hints of retro, industrial style for the modern, contemporary home decor. Versatile home decor accessry that can also be used for small plants & flowers or as a pot for makeup accessories & other little bits & bobs. Add a tealight candle to light up your home in style. Geometric design with glass pentagon shaped panels and open top for placing the tealight. Constructed with glass panels in pentagon shaped metal frames in a brushed black metal finish. Another addition to our ever growing collection of candle and tea light holders.